We normally do not use beetroot leaves. 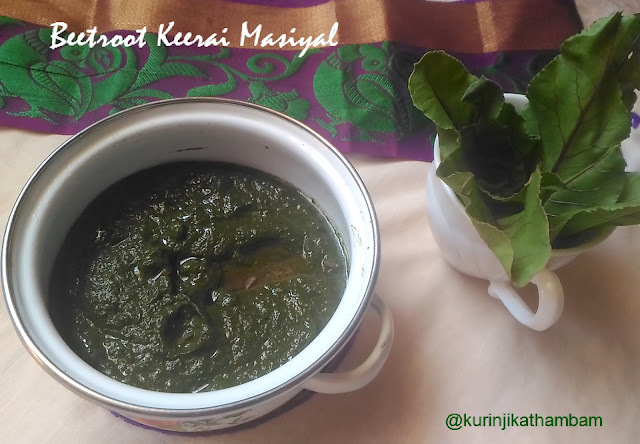 We can make masiyal or poriyal (stir fry) with beetroot leaves. It is very healthy but also very tasty as well. 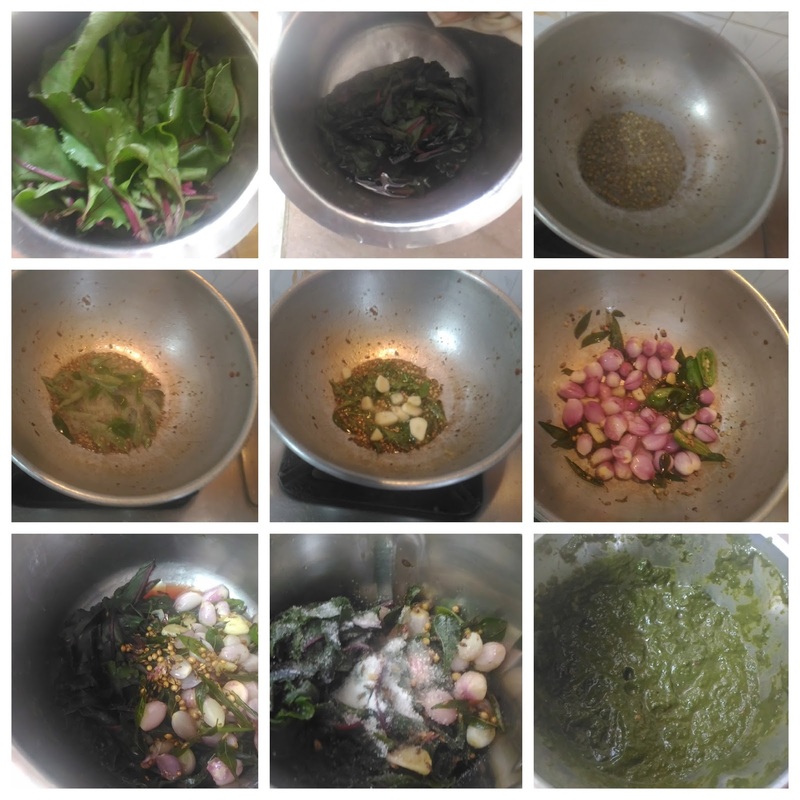 Click here to view 15 + Greens / Keerai Recipes. 1. Wash and chop the beetroot leaves into small pieces. 2. Boil ½ cup of water and then add chopped beetroot leaves. Cook till the leaves become tender. Allow it to cool down completely and strain the water from the leaves. Keep it aside. 4. Then add coriander seeds and curry leaves. Sauté till the curry leaves become crisp. 5. Now add the chopped green chilli, chopped garlic pods and chopped onion. Sauté till the onion becomes translucent. Allow it cool down and mix with cooked beetroot leaves (from 2). 6. Grind this mixture into a fine paste using the mixie jar with little water and required salt. Really tasty and mouthwatering masiyal is ready! 1. Adjust the green chilli level according to your taste.